Chief Investment Officer, Morgan Stanley Wealth Management, Morgan Stanley & Co., Chief US Equity Strategist, Morgan Stanley & Co.
Vice Chair of Research, Morgan Stanley & Co.
Chief Cross-Asset Strategist, Morgan Stanley & Co.
Head of US Fixed Income Research Morgan Stanley & Co.
Michael Wilson is chief investment officer of Morgan Stanley Wealth Management and Morgan Stanley & Co. and chief US equity strategist for Morgan Stanley & Co. As CIO and chair of the Global Investment Committee, Mike is responsible for all the investment and asset allocation advice provided to the firm’s $2.1 trillion in retail client assets. Over the past 25 years, Mike has held various roles with increasing responsibilities, mostly within Morgan Stanley & Co.’s Institutional Securities Group. 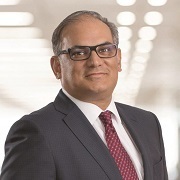 He started his career in 1989 in investment banking before transitioning to the Institutional Equities Division in 1995 where Mike created and managed the sector specialist team while serving as a technology sector specialist himself. In 2009, he became head of content distribution for North American institutional equities and then CIO for Morgan Stanley Wealth Management in 2012. He was made chief US equity strategist and CIO for institutional securities in 2017. He is a regular guest on CNBC and Bloomberg and is often quoted in popular financial publications such as Barron’s, The Wall Street Journal and on various news wires. He is on the operating committees of the firm’s Wealth Management and Institutional Securities divisions. He is also a member of the Morgan Stanley Retirement Plan Investment Committee. Mike holds a BBA from the University of Michigan and an MBA from the Kellogg Graduate School of Management at Northwestern University. Lisa Shalett is head of Wealth Management Investment Resources and head of Investment & Portfolio Strategies for Morgan Stanley Wealth Management and a member of both the Global Investment Committee and the Wealth Management Operating Committee. She works to develop portfolio solutions that leverage the firm’s strategic and tactical asset allocation advice to meet client goals delivered through both scaled and customized solutions. As part of her role, Lisa leads the development of all asset allocation models, global investment due diligence and portfolio analytics. She also has responsibility for managing the Global Investment Committee’s models and Outsourced Custom Investment Office mandates, which collectively have more than $100 billion in assets under management. In addition, Lisa is responsible for Morgan Stanley Wealth Management thought leadership and publishes special reports on topics of importance for practitioners and clients. Prior to joining the firm in September 2013, Lisa served as chief investment officer of Bank of America Merrill Lynch Global Wealth Management. 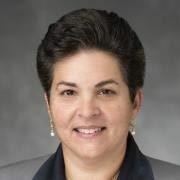 Previously, she held several senior roles at AllianceBernstein during her 18-year tenure with the firm, including chairman and chief executive officer of Sanford C. Bernstein, LLC, and served as chief investment officer and head of Alliance Growth Equities. She is a Henry Crown fellow of the Aspen Institute and a founding member of the Financial Fellowship. Lisa holds a dual Sc.B. degree in applied mathematics and economics from Brown University and an MBA from Harvard Business School. Martin L. Leibowitz is a managing director on Morgan Stanley’s Global Research Strategy team, responsible for producing studies on such topics as beta-based asset allocation, portfolio rebalancing, spending funds and duration targeting. 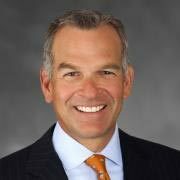 Prior to joining Morgan Stanley in 2004, Marty was vice chairman and chief investment officer at TIAA-CREF responsible for the management of more than $300 billion in equity, fixed income and real estate assets. Previously, he had a 26-year association with Salomon Brothers, where he became director of Global Research. 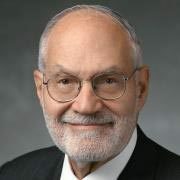 He has written more than 150 articles on various financial and investment-analysis topics and has been the most frequently published author in both the Financial Analysts Journal and the Journal of Portfolio Management. Inside the Yield Book, the first of several books he wrote, is considered an investment standard. Marty holds both an AB and MS degree from the University of Chicago and a PhD in mathematics from the Courant Institute of New York University. 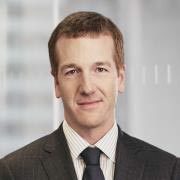 Andrew Slimmon is a managing director of Morgan Stanley Investment Management where he is the lead senior portfolio manager on all long equity strategies for Applied Equity Advisors. Andrew is also a member of the Global Investment Committee. He has more than 30 years of investment management experience. He began his career at Morgan Stanley in 1991 as an advisor in Private Wealth Management, and later served as the chief investment officer of the Morgan Stanley Trust Company. Prior to joining the firm, Andrew was a buy-side equity research analyst with ARCO Investment Management. He began his investment career as an analyst and then portfolio manager for Brown Brothers Harriman, a private bank. He is a regular guest on CNBC. Additionally, he has appeared on CNBC Europe and Bloomberg TV and is quoted regularly in The Wall Street Journal and Barron’s, Bloomberg and Reuters. Andrew holds a BA degree in economics from the University of Pennsylvania and an MBA from the University of Chicago. 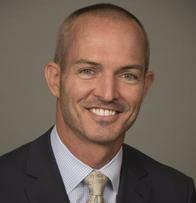 Andrew Sheets is chief cross-asset strategist at Morgan Stanley & Co, which he joined in 2004. He is responsible for identifying key trends and inconsistencies across global asset classes. 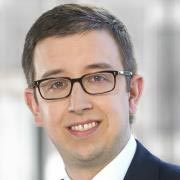 Prior to his current role, he was the firm’s chief European credit strategist from 2009 to 2014 and spent 10 years as part of the credit research department in both the US and Europe. Andrew and his team have been recognized multiple times by Institutional Investor for their work in Research. He holds a dual Sc.B. degree in applied mathematics and economics from Brown University. Rui De Figueiredo is Co-Head and Chief Investment Officer of the Solutions and Multi-Asset Group at Morgan Stanley Investment Management. Additionally, he is a member of the Global Investment Committee. He has 20 years of industry experience. Prior to his current role, he provided investment leadership to the Portfolio Solutions Group and Hedge Fund Solutions team within Investment Management and led investments for Graystone Research within Morgan Stanley Wealth Management. Prior to joining the firm in 2007, he led Research on behalf of Citi Alternative Investments. 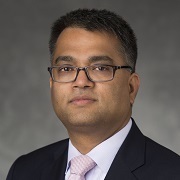 In this capacity, he developed and implemented leading-edge research on portfolio strategy with alternative investments for proprietary and client portfolios. Earlier, he was a case leader at the Boston Consulting Group and an associate at the Alliance Consulting Group, both business strategy consulting firms. Rui has published in finance, economics, law and political science journals. Additionally, he is an Associate Professor (with tenure) at the Haas School of Business at the University of California at Berkeley. His research there focuses on game theoretic and econometric analysis of institutions. Rui holds an AB degree from Harvard University, and a PhD and two master’s degrees from Stanford University. Vishwanath Tirupattur is a managing director and head of US Fixed Income Research at Morgan Stanley & Co. In addition, he is also the global head of Securitized Products Strategy and the firm’s US Housing Strategist. Prior to joining the firm in 2004, he had portfolio management and risk management responsibilities at The Chubb Corporation, American International Group and The Lincoln National Corporation, managing interest rate, equity and credit derivatives. Vishwanath has also been a post-doctoral associate at the University of Illinois. He has been voted to the Institutional Investor’s All-American Fixed Income Research on multiple occasions. Vishwanath holds a master’s degree from Virginia Tech and PhD from the University of Illinois at Urbana-Champaign. Ready to start a conversation? Contact Kevin Barry today.